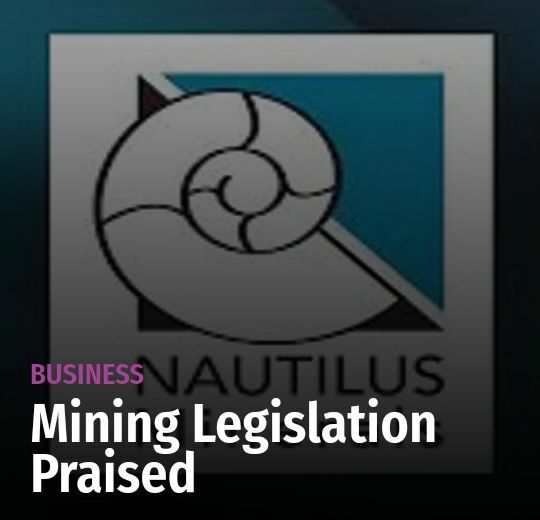 The Papua New Guinea's mining legislation has been described as one of the best in the world. 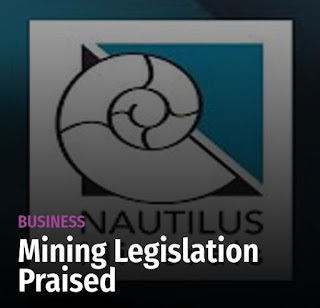 Nautilus Minerals chief executive officer Michael Johnston made this remark on Monday evening during a briefing with the Mining Minister Johnson Tuke in Port Moresby. Mr Johnston said the mining legislation governing this industry have covered all aspects compared to other third world countries. He said since his career with the industry and in countries that he has worked with prior to appointment to PNG, he has dealt with legislation that are inferior to PNG’s. “PNG is better and has many aspects, you have an independent authority the Mineral Resources Authority and you have policy and legislation separate which not many countries do that and they don’t do it as well. “The Government wants to see mineral resources developed responsibly and that’s keen for these things to happen. The state is a very good partner for mineral project development so those are some of the main reasons why we’re chosen to mine in PNG,” Mr Johnston said. He said apart from the legislations the country has one of the best processes for permits to be issued such as the environmental permitting process. Mr Johnston said the key difference identified in this process is the concept of inception record, which is not applicable in many countries. “To me it is one of the best permitting process in the country. What it allows you to do is to get all the stakeholders together, and work out what needs to be covered in the environmental impacts side. Mr Johnston said it is a robust system, which gives the regulator a clear path going forward. It’s not always about making changes,” he said. “Community consultations are another area where PNG leads for countries like Australia and New Zealand.